Congratulations to Maria Kovacevich on her new endeavor! 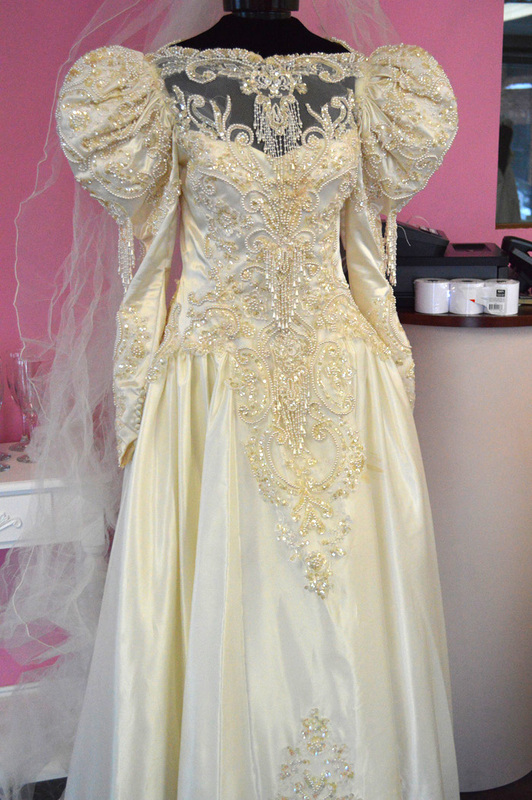 Maria just recently opened her new storefront – a boutique selling bridal dresses, veils, jewelry, and more! 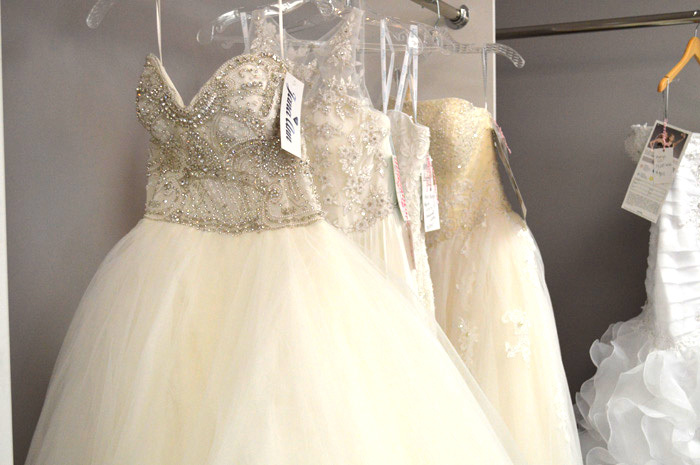 Located in the Akron/Fairlawn area, this new shop is sure to catch the attention of local brides – and the front window display is already doing just that! 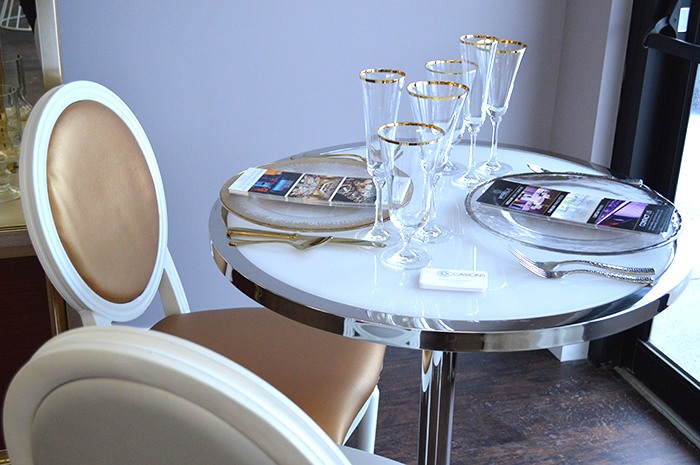 Maria has created the perfect experience for her brides. 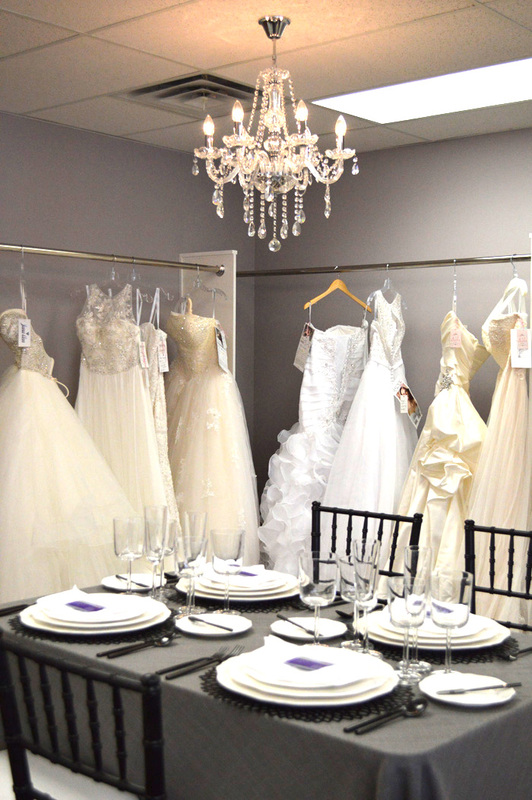 Not only are they greeted by a warm, inviting environment when they walk through the door, but they get to do so much more than just shop for dresses. The front table is decorated with an array of local wedding business cards to help the girls finish their wedding planning. 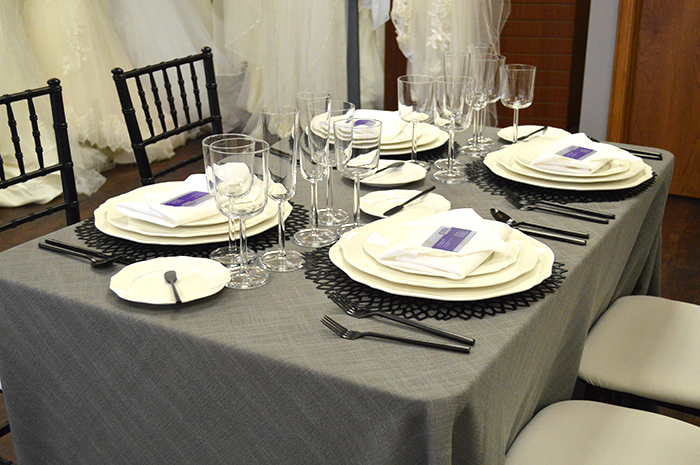 While looking through gowns or waiting for a dressing room, brides and their entourage can look at the latest trends in tablescapes on the display floor. 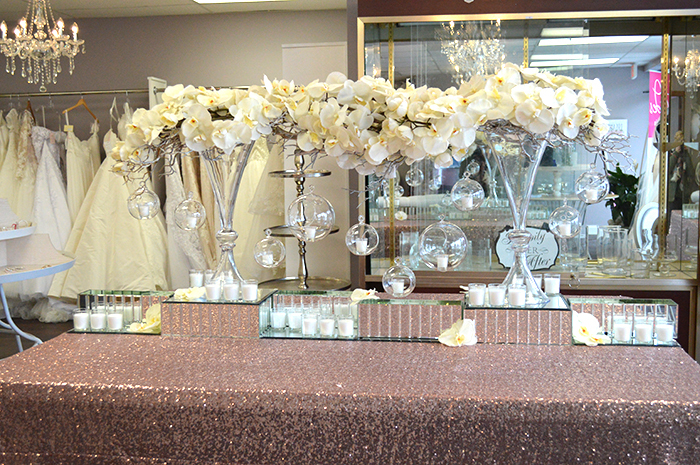 With designs from Farah & Nour, Event Source, and All Occasions Party Rental, brides can get inspiration and a sense of their own theme, making it easier for them to find a dress to match. 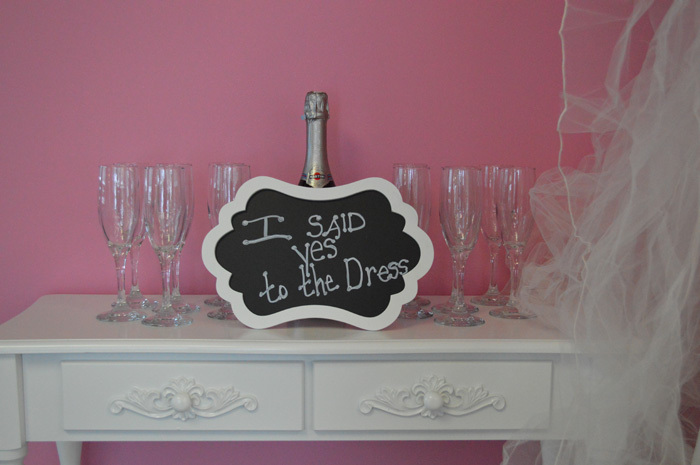 Upon choosing their dress, Maria has a unique and delicious way to celebrate their decision – a champagne toast! And that’s not where Maria’s help ends. Because she’s a respected and experience wedding planner & consultant, brides can hire her on to continue to help them throughout their wedding planning process! And after their first conversation with her, they’re definitely going to want to. From the decor on the walls, to the vintage-like furniture, to the dazzling chandeliers, brides will feel comfortable knowing that she can stylishly throw together their own wedding and make it look effortless and flawless. 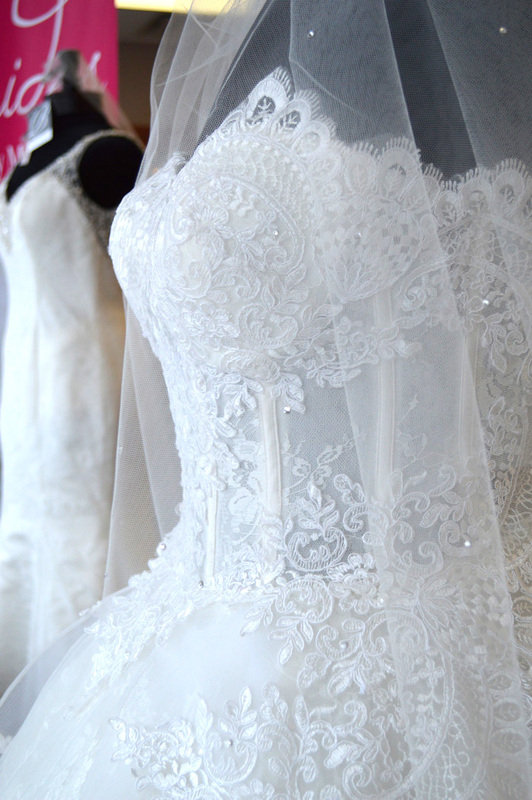 By displaying her own wedding dress in the store, you feel an instant connection with her and know how much she truly loves what she does. Congratulations on your success, Maria! create your own success story… we can help!